Lindsey and Christian are getting married this August and I have the honour of making photographs of their wedding day. Even though I had first met them this past winter we wanted to hold off shooting their engagement photographs until the weather was a little bit more bearable. It took a while for Saskatoon to commit to some Spring weather, but we eventually got there. I met Lindsey and Christian near the South Saskatchewan river where we would spend most of our evening capturing their engagement photos. Lindsey really wanted to incorporate her son Vance into some of the shots so I had the pleasure of meeting this young chap. It wasn’t too long into the shoot before we realized the mosquitoes had mobilized and were launching an assault upon all of us. Lindsey, Christian, and Vance were all troopers and they powered through the ordeal. 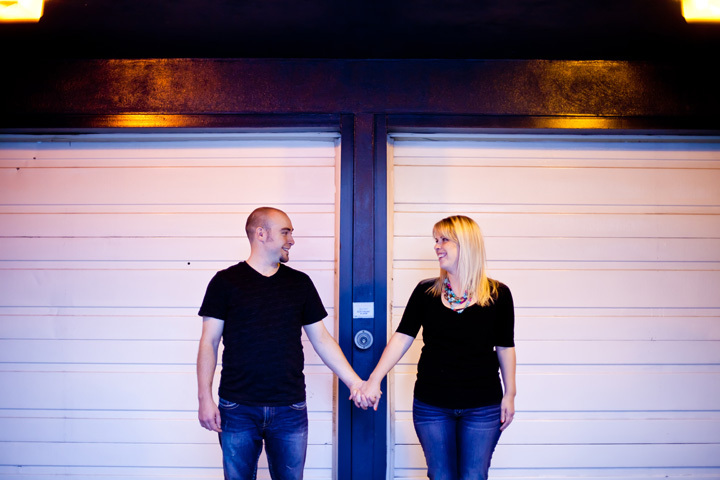 After we had taken all that we could of the mosquitoes we headed to a downtown location to get a few more shots. Since we were now out of the tall grass and into the concrete jungle the mosquito situation was no longer a problem, and we could enjoy the last bit of the shoot. Here are some of my favourite photographs from the evening, and be sure to also check out their high definition slideshow. Note: for the best quality make sure HD is set to on along the right side of the video player. Scaling should be set to off. Last Wednesday I had the pleasure of spending an evening with Stormy and Patrick. 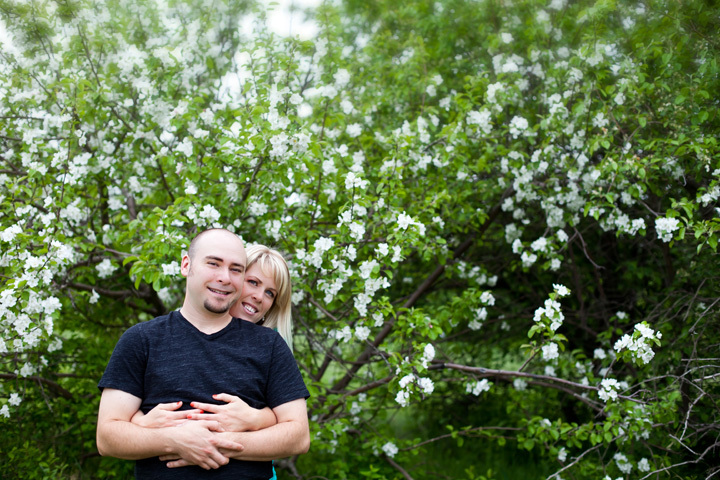 They are getting married this summer so we got together to make some engagement photographs in Saskatoon. It was very nice to have both the weather and the mosquitoes cooperate with us. 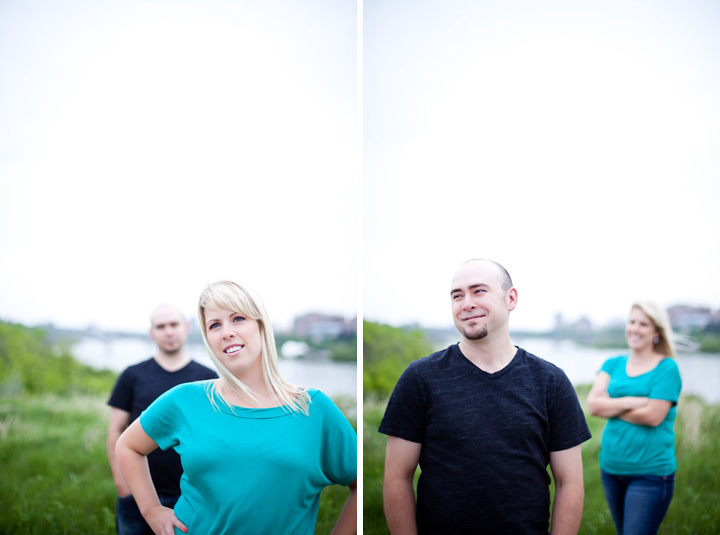 The photos from their session should be up soon, but here’s a teaser to show you how great they looked. 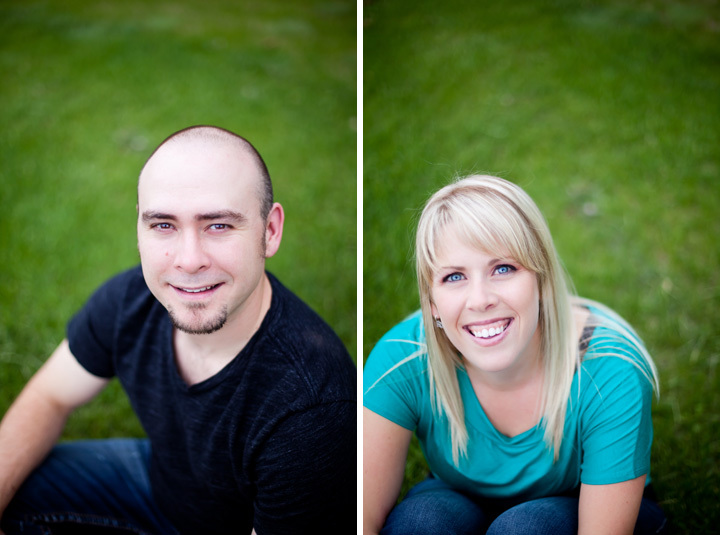 Last Wednesday I met Lindsey and Christian to shoot their engagement photos in Saskatoon. 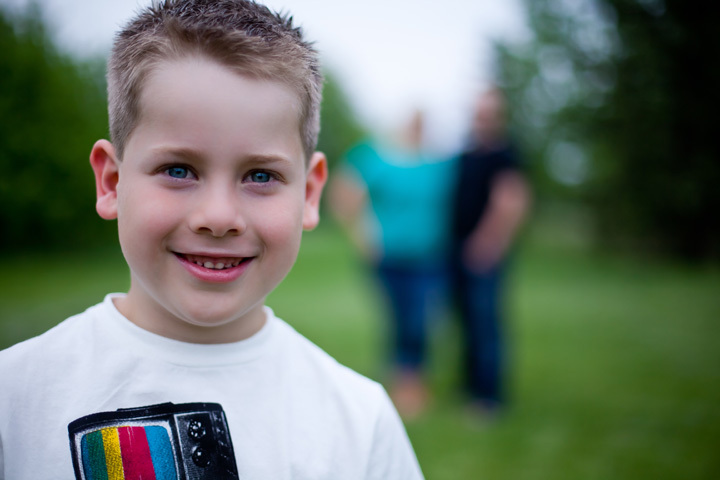 We also used this as an opportunity to grab a few shots of Lindsey’s 7 year old son Vance. The evening was windy and filled with mosquitoes, but that didn’t stop the four of us from creating some great photographs. Here’s a couple of teaser photos to give everyone an idea of just how dashing the three of them were. Stay tuned for my full blog post. When one thinks of Yorkton, Saskatchewan, a film festival probably isn’t the first thing that comes to mind. What most people don’t know is that this city actually hosts the oldest film festival in North America. The Yorkton Film Festival celebrates short films and screenwriting from around the world. This year I had the pleasure of attending the festival. I could have jumped in my vehicle and drove to Yorkton on my own, but that would have boring. Why not instead jump into an classic 1968 Skylark with one of Canada’s premiere screenwriters/directors, an emerging producer, and an expert in transmedia? Thursday morning Dave Shultz and I met Katrina Ham and Emme Rogers at the Chop Chop Salon near downtown Saskatoon. The two ladies were getting themselves all decked out for our roadtrip to Yorkton where they would be receiving the Key to the City from the Mayor upon our arrival. Earlier in the morning Katrina was a guest on the CBC’s The Morning Edition with Sheila Coles to talk about the festival, and our roadtrip. The idea was to live tweet the trip in hopes of promoting and bringing awareness to the festival. While Dave and I waited for the women to finish up, we tried to devise a strategy for making a ton of luggage fit into the rather small trunk of his Skylark. It seems that three of us had overestimated how much space we had to work with. My assumption was that old cars had big trunks. I was very wrong. After running through a number of scenarios it seemed that the only way to make it work was to lose the spare tire….and to leave Katrina’s golf clubs behind (seriously, golf clubs). With the car all packed we were on the highway in no time. Since we had the top down Katrina and Emme wrapped their heads in scarves to salvage their new hairdos. Good thing they did because things got pretty windy and I’m sure they didn’t want the awesome work of Chop Chop Salon to go to waste. It was the end of May in Saskatchewan so we hadn’t yet got into the hot temperatures which would have made the back seat a little more bearable. Everything was fine when the sun wasn’t hidden behind a cloud, but it could get pretty chilly when it disappeared for a few stretches. It wasn’t long before stomachs started to growl, so we stopped in Lanigan for a delicious lunch buffet at Wong’s Restaurant. I’m not sure what it is, but small town Saskatchewan always seems to have the best Chinese food. We also did a bit of window shopping at an interesting pizza/clothing store before getting back onto the highway. With our bellies full of delicious Chinese food a few of us started to get a bit parched. We were nearly at Foam Lake so we decided to stop by the local watering hole. After a couple of beer and some very passionate conversation about the film industry and social media, we thanked the friendly staff and continued on the last leg of our trip. We rolled into Yorkton just a few minutes before the key ceremony so we high-tailed it to the downtown park where it was going to take place. We were greeted by the Mayor and the Executive Director of the film festival who told us to make ourselves at home and to enjoy all of the festivities. This was just the beginning of my experience, but I can say that the first thing that will come to mind from now on when I think of Yorkton is the Yorkton Film Festival.